FORT MYERS, Fla. ( March 28 , 2013) – The bi-annual Shell Point Quilt Show will be open to the public and will take place from Saturday, April 13, through Monday, April 15. The resident quilters invite the public to view the many sizes and varieties of hand crafted quilts on display, including quilts based on this year’s theme entitled “My Heritage”. The 2013 Shell Point Quilt Show will be held inside the Social Center on The Island at Shell Point on Saturday, April 13, from 10 a.m. to 4 p.m.; Sunday, April 14, from noon to 4 p.m.; and Monday, April 15, from 10 a.m. to 2 p.m. In addition to the quilts on display, visitors will have the opportunity to listen to music performed by Shell Point resident musicians while perusing the orchids from the Shell Point Orchid House. This event is free and open to the public. For more information, please call Melody Desilets, volunteer coordinator at (239) 454-2290. Shell Point Retirement Community is a not-for-profit continuing care retirement community located in Fort Myers just off Summerlin Road, two miles before the Sanibel causeway. Shell Point has received national accreditation from CARF-CCAC, and is a nationally recognized leader in the retirement industry. 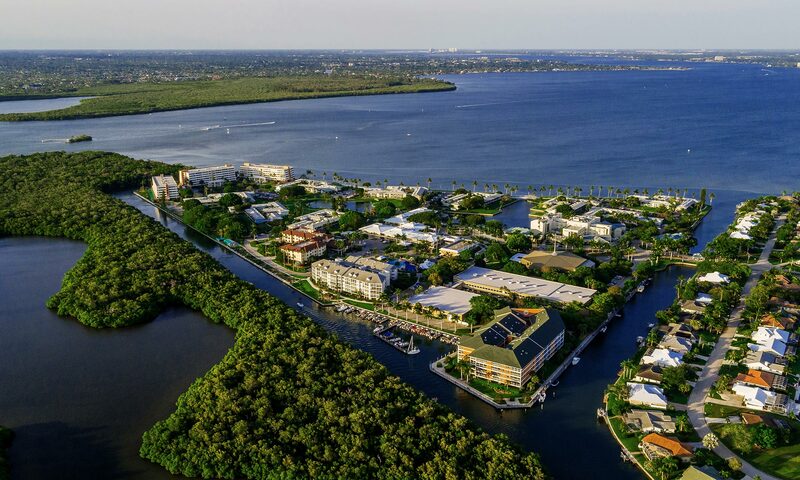 The community offers retirement living in a resort-style environment with an 18-hole championship golf course that is open to the public, deep water boating access, and recreational and fitness facilities. To learn more about Shell Point Retirement Community, visit us at www.shellpoint.org or call 1-800-780-1131. FORT MYERS, Fla. ( March 27 , 2013) – More than 500 guests enjoyed an afternoon of fun, fashion and philanthropy at the ninth annual spring fashion show held at Shell Point Retirement Community, raising $16,000 to benefit the new Aquatic Center, scheduled to begin construction sometime in 2014. Shell Point partnered with Bell Tower Shops to show off 90 of the newest spring and summer fashions from such stores as Talbots, Saks Fifth Avenue, Brodeur Carvell, Caché, Island Living, Draper’s & Damon’s, Swim ‘N Sport, Patchington, Trader Rick’s, and Francesca’s Collections. Shell Point Retirement Community announces the Carpe Diem String Quartet as the final performance in its 10th Annual Fine and Performing Arts Concert Series. This concert will take place on Thursday, April 4, at 7:30 p.m. in The Village Church auditorium located on The Island at Shell Point. Carpe Diem has earned critical acclaim with their innovative programming, electrifying performances, and a passion for audience engagement. Defying easy classification, the quartet continues to break boundaries and push the limits of the classical string quartet. Carpe Diem writes, arranges, and performs music of all styles, and works with artists of many different genres. Their musical passion has led them down the paths of gypsy, tango, folk, pop, rock, and jazz-inspired music, yet the quartet is equally at home with the traditional string quartet repertoire. Carpe Diem is committed to changing the concert experience of chamber music. Using innovative programming, thematic concerts, popular music, cameras, and video to assist in the visual presentation, as well as speaking from the stage to better engage the audience, Carpe Diem is bringing new audiences into the concert hall and revitalizing the chamber music experience. The Village Church at Shell Point Retirement Community welcomes virtuoso organist Diane Bish on Easter Sunday, March 31, at 6:15 p.m. as the next concert in the 2012-2013 Season of Praise Concert Series. This series of inspirational performances, sacred music and gospel songs brings the finest music and musicians into the heart of our church and community where it may be enjoyed by all. Bish is the most visible and influential classical organist performing today. She has displayed her dazzling virtuosity and unique showmanship the world over to international acclaim, and her performances have been hailed by critics as stunning, fiery and astonishing. Bish is well known for her television program, The Joy of Music, which is celebrating its 30th anniversary this year. Tickets are now on sale and are $10 each. To purchase tickets online, go to http://www.shellpoint.org/seasonofpraise. To receive additional information about the concert series, please call (239) 454-2147. The Concerts and Conversation Series will offer its final presentation of the season on Thursday, March 28 at 7 p.m. with Douglas Renfroe, bass baritone and Joy Bowe, pianist. This event allows participants to enjoy a beverage and dessert reception with the performers after the concert. Tickets for this concert are $25 each. Renfroe is a nationally acclaimed bass baritone who made his Lincoln Center debut in Schumann’s Paradise and Peri and his Carnegie Hall debut in Orff’s Carmina Burana. He has specialized in oratorio works and has performed throughout the United States and Europe. His concerts have included Beethoven’s Ninth Symphony, Braham’s Requiem, Medelssohn’s Elijah, and Haydn’s Lord Nelson Mass. Renfroe has appeared with the Washington Opera and Boston Opera, and he has been a concert recitalist under Columbia Artist management. As a pianist, Bowe has performed extensively throughout the west coast of Florida. Originally from Houston, she has accompanied Renfroe on tour for the past five years. In addition to her accompanying, she is the assistant musical director for Temple Bat Yam on Sanibel and pianist at Beach United Methodist Church on Fort Myers Beach. The annual Shell Point Photo Show will be open to the public for viewing Monday, April 1 through Friday, April 5. The display will be held inside the Resident Activity Center located on The Island at Shell Point Retirement Community from 9 a.m. to 3 p.m. on these dates. Artists at Shell Point Retirement Community have been preparing for the past 12 months in anticipation of this weekend’s upcoming Shell Point Art Show and Sale, which is scheduled to take place on March 15, 16, and 17 at the Social Center and Resident Activity Center on The Island at Shell Point. The show runs from 10am to 3pm on March 15 and 16, and from noon to 3pm on March 17. This event is free and open to the public.